Well, we really enjoyed our trip to California (& Nevada & Arizona). Strongest impression was how friendly & helpful all the Americans seemed to be. Of course I had worked with Americans for 40 years & visited (Michigan) dozens of times, so it was a surprise to find them so nice this time. Everybody we bumped into seemed chatty & cheerful & looking for ways to help. Even – big surprise – the Customs & Immigration People! First impressions are important & you gave us a great first impression. Whenever we got a map out, somebody would ask if we needed directions. In any shop or restaurant, people bent over backwards to help. Back in Europe, everybody seems glum & uncommunicative now. Then I was reminded how sensible U.S. driving habits are - cruise control, stick in any lane, overtake either side, turn right on red lights, respect speed limits (mostly) - it all just works easily & smoothly. Not quite as convinced about the 4-way-stops; they work safely, but waste a lot of time & energy. Never saw anybody zip through one though. And better than Priorité à Droite! Worst surprise was the weather. I had read that San Francisco could still be cool & foggy in April, but I was not expecting to spend 2 weeks at 10-15°C with a lot of wind & cloud & a little rain. We did see some surfers, but all in wet-suits. Everything was cheap for us at then Euro rates, but you had to remember that the prices did not include taxes, so the actual bill was always more than expected. Then, in restaurants, service is not included. Paying by credit card, you get presented with a chitty showing the fixed total, but with space for you to add a tip & the new total. Often, they pre-calculate the tip corresponding with 12% 15% 18% & maybe 20% for your guidance. Of course the Grand Canyon was magnificent, as we knew it would be, but knowing & seeing are 2 different things. We were lucky there with the weather in terms of sunlight & visibility, where it mattered most. There was still snow in the shady bits & the north side was not open to the public yet after the winter. We did not go down inside, just seeing it from the rim (plenty good enough) & from flying over it (bonus). We did finally get our flight in a little Cessna ("everybody gets a window seat") instead of in the bigger plane they are using mostly now - a long story with 31 e-mails & several hard discussions! 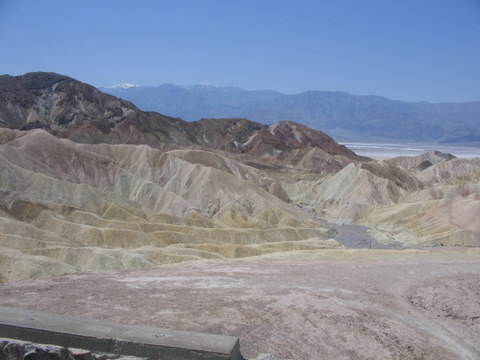 More surprising was Death Valley. I expected it to be hot & non-descript. Certainly it was hot (only 37°C though) but far from non-descript. 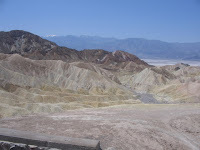 The view from Zabriskie Point was amazing - hard to believe it was natural & not some Disney or Las Vegas artifact. The sharply-folded surfaces with brightly-coloured stripes was unlike anything I have ever seen. Then there was the dry salt beds & the surrounding snow-capped mountains. We really liked San Francisco. We planned to spend 2 nights there, ended up spending 4 nights & could happily spend a couple of weeks. One good thing is the complete & varied public transport network. We got a 3-day pass for $20 each & certainly had our money's worth, using the famous cable cars, trams, trolley-buses, ordinary buses & even a subway train which popped out to become a sort of surface tram. The cable-cars were the most fun, especially hanging on the outside. I suppose they will have an accident some time, either scraping people off the outside or a car careering off down the very steep hills, and will have to stop the whole thing, but amazingly it has all been working for a century now without too much bother. The drivers seem to have to do a lot of he-man stuff with the big brass levers & pedals - I would hate to see a DFMA of it all. We did not need to drive much in San Francisco, but were glad to have an automatic with all the stops & starts on the very steep hills. We started off with a tour on an open-top bus (not included in the $20) which gave us a quick, if very draughty, over-view & included crossing the Golden Gate bridge. That was a hop-on/hop-off service, so we could stop where we wanted, then catch the next bus 15min later. We decided to hop off at the visitor area at the Golden Gate, mainly to grab a coffee & a cake, but were surprised to find that there were absolutely no refreshments available. That was something we found again & again, not just in SF, that there were no refreshments to be found in places which were just obvious refreshment spots! On the other hand, there were always lots of free loos, nearly always with working hot & cold water, soap & towels, and never any sign of vandalism. And almost no litter - for a society which generates huge quantities of packaging waste, that is impressive. Maybe the frequent warning signs about $1000 fines for littering help? The real reason, or excuse, for our trip, was a nephew's wedding. To be held on the beach in Santa Barbara! They did manage to have the wedding on the beach, in a very strong cold wind, just before a torrential downpour which lasted for 6 hours. Felt quite sorry for the bride & even more so for the bridesmaid, in skimpy dresses & with hair-do's undone. Santa Barbara was a very pleasant place too. Not at all the stereotype US town. Lots of pedestrians & cyclists & joggers & dog-walkers (all picking up after their pets). The palm trees & luxurious vegetation help too. And the pelicans & seals (Didn't see any whales though). And the beaches (not much used in April). Very successful & attractive low-rise spanish-inspired architecture. Lots of beautiful houses, many with wonderful situations on cliff-tops with ocean views. Though the ocean views here include lots of off-shore oil rigs...maybe not for much longer? 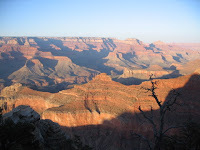 We had 2 overnight stops in Las Vegas (on our way to & from Grand Canyon - no real alternative route). OK - it's worth seeing once, but not my sort of place. You have to be impressed by the sheer scale of some of the casino developments, particularly the Venetian & Paris ones. And they were a bit less plasticky than I expected, but still ridiculous! The best bit about LV was the cheapest motel prices we found anywhere - around $38 for rooms for 4. That wouldn't be enough to lure me back though. After Death Valley, we would have liked to cross through Yosemite National Park, but were warned the passes would probably be closed until well into May and so it turned out to be. So we headed north via Mono Lake (wierd fossil stalagmites) & Lake Tahoe (big winter sports area & all-year tourist resort) but did not stay long & decided to spend more time in S-F.
After S-F, we drove all down the coast road (US 1) to L-A, expecting this to be a high spot of the trip. Judged against those expectations, it turned out to be a slight disappointment, if only because the weather was cold, damp & windy, where you automatically assume warm & sunny. Also, there are surprisingly few "places" there, where you might imagine a string of mediteranean-style ports & villages. The first "place" after S-F is Santa Cruz, which turned out to be a sort of tawdry Blackpool/Southend & not worth a visit (or maybe we just missed the worthwhile bits?). Then Monterey/Carmel, which was actually the only spot on that coast which matched our preconceptions. Monterey is a busy, touristy port & Carmel is a very pretty, if too-exclusive, village, with no lamp-posts or big signs. Carmel even charges you ($10?) 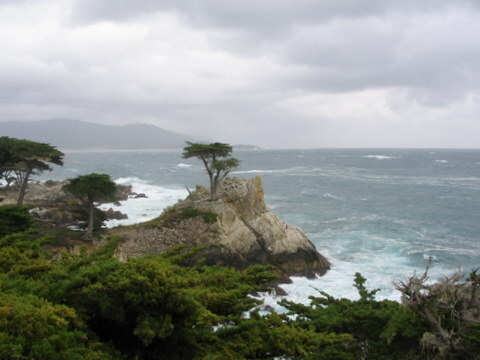 to be able to drive through their exclusive residential/scenic district ("17 mile drive")! Then follows hundreds of miles of (attractive enough) coastal road, between hills, cliffs, rocky & sandy beaches and cold, rough Pacific. Went through the fabled Big Sur without really noticing it. Deliberately skipped Santa Barbara on the way back, with the intention of spending our last night in exotic Malibu. I had pre-booked the critical motels (Santa Barbara & Grand Canyon) from France, but intended to book the rest by internet (phone wifi) only the day ahead, for best flexibility (& price). That worked OK for L-V but by then we saw that there were plenty of motels everywhere & we prefered to choose at the last minute - paying a bit more, but being able see what we were getting. That had proved a bit stressful when we got to S-F & drove around for a long time before finding a motel, but luckily we found a good one in an excellent position. It all went wrong in Monterey. We drove all along the sea shore road without seeing a single motel or hotel or even a MacDonalds where we could have used wifi internet. Now I am back home with easy internet, I can see that in fact there are no motels on the coast road. They are all on US101 which is 10 miles inland! Anyway, we ploughed on into Santa Monica & again drove all along the (long) sea front, then back along the next road back, then up & down several main-looking perpendicular roads, again without finding a single motel (or MacDonalds or Starbucks for wifi). After a long time, we found a dingy-looking motel, but the room was even dingier than the office, so I rejected that. Fairly soon after, we saw another one & that seemed comparatively acceptable, so we spent our last night there - not at all the glamorous beach-side last night I had imagined. 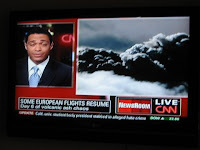 We did not actually do anything in Los Angeles, either on arrival or on departure. On arrival (very tired) we were surprised how extensive & overcrowded it all seemed. We were stuck in 6-lane traffic jams for ages & for over 50 miles. On departure day, we initially thought we had lots of time to see Hollywood, Sunset Boulevard etc, but found navigation difficult without a good map. Then we had a hard job finding a shop for a map (& gave up). Then we started to find ourselves in traffic jams & began to wonder if we might have trouble getting back to the airport in time, so just gave up on L-A. With no great regrets - it is really too big & too crowded to love. Close encounters with Elk(s?) at Grand Canyon - right outside the motel room. And with very-tame Squirrels & not-so-tame Chipmunks. And prairie dogs, only seen from the car. And pelicans - not at all the ungainly things seen in photos, but graceful formation-flyers. Seals/Sea-lions/Sea-elephants squatting whole beaches all down the coast & their own pier (39) at S-F.
All sorts of beautiful trees, including the Lone Cypress at Carmel & Redwoods in Muir Woods Park. Palm trees & cactus & Joshua trees & masses of wild flowers. The long, long climbing road out of Death Valley, starting 282ft below sea level, with reminder signs at 2000ft above, then 3000, 4000, 5000, 6000, 7000, 8000ft, by which time you are surrounded by snow. With signs warning you to turn off air-conditioning for the next 20 miles, to avoid overheating the engine. A lot of down-&-outs, even in posh areas. Positive beggars, laying out towels with target cups for people to toss coins into from Santa Barbara pier. Chips with the skin left on. More different sorts of bread & coffee than we could understand. Reading through this, it sounds as though there were maybe more negatives than positives, which is not at all the case. We came back with a much better impression of America & the Americans than we had before the trip. April is maybe just not the best time for seaside holidays! Oh, yes – we were there at the time of the icelandic volcano erruption. Parting thot: "If you come home as happy as you leave, you have had a good vacation." – anon.